Council Members Teresa Mosqueda and Lisa Herbold will appear at a summit set up by labor unions and community groups opposed to Amazon's expansion there. Two Seattle City Council members are scheduled to appear Monday in New York City at a summit set up by unions and community groups that oppose Amazon’s plan to expand there and the billions of dollars in government subsidies that helped attract the company. At the event with activists and Amazon warehouse workers, Teresa Mosqueda and Lisa Herbold intend to describe how the company’s growth has changed Seattle and warn local politicians to take steps on taxing, zoning and labor standards earlier rather than later. “We’re going to share our experiences — some lessons learned and some mistakes,” Mosqueda said in an interview Friday. When Amazon announced expansions in Queens, New York, and Crystal City, Virginia, in November, executives outlined some $2.2 billion in expected direct government incentives, and programs not specific to the company could yield hundreds of millions of dollars more. Economic-impact studies cited by New York City Mayor Bill de Blasio’s administration suggest Amazon’s expansion could generate more than $27.5 billion in additional tax revenue over 25 years, and Seattle’s economy has soared along with Amazon’s ascent. But the summit’s sponsors are against the subsidies and want politicians in positions to block or delay those incentives to learn about the “dark underbelly of the story of Amazon in Seattle,” said Deborah Axt, co-executive director of Make the Road New York, a membership organization of immigrants and people of color that advocates for low-wage workers and renters. Amazon’s growth in Seattle has contributed to the displacement of less-affluent families, said Axt, whose group is concerned the company’s presence will accelerate displacement already occurring in Queens. Make the Road is paying for the Seattle council members to make the trip, according to Herbold’s office. Amazon didn’t return a request for comment Friday. In New York, it’s not just the subsidies that critics find odious. 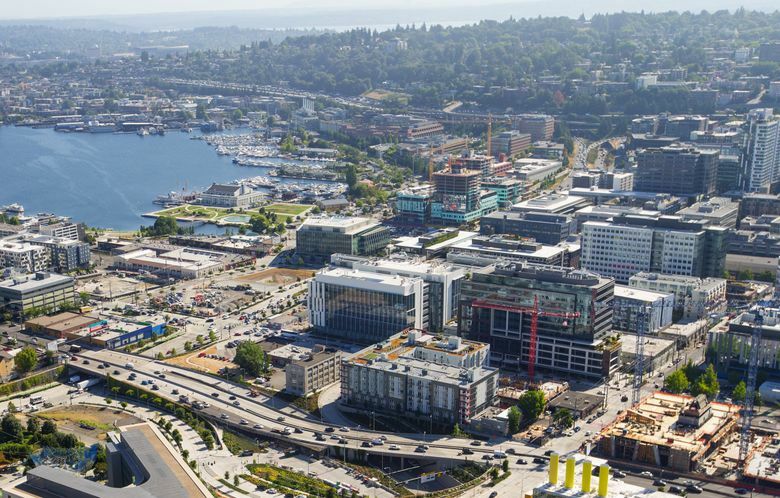 Axt said people worry the addition of as many as 25,000 highly paid Amazon positions will worsen gentrification and school overcrowding and overwhelm an overburdened transit system. Seattle in recent years led the way on labor standards such as a $15-per-hour minimum wage but didn’t act quickly enough to deal with Amazon’s rise through taxes that fund social services and through zoning changes that allow more housing options and supply, Mosqueda said. “We weren’t proactive about it and we’ve seen the consequences,” she said, citing a homelessness crisis and infrastructure needs. Though Amazon has boomed here without massive subsidies, New Yorkers have watched the company “try to dominate the democracy there in order to protect its own self-interest,” Axt added. Amazon threatened to stop growing in Seattle over the annual tax of $275 per employee, which would have raised money for homeless services and housing, and later helped bankroll a referendum effort. “No corporation should be able to flex its muscles … and put public-policy makers in a position where they can’t govern,” said Mosqueda, who was on the losing side of a vote to repeal the tax. Amazon founder Jeff Bezos in September announced a $2 billion charity fund to address homelessness and early childhood education. But Herbold may tell her New York audience that “philanthropy alone doesn’t make a good corporate partner,” she said in an email Friday, citing Amazon’s head-tax obstruction.